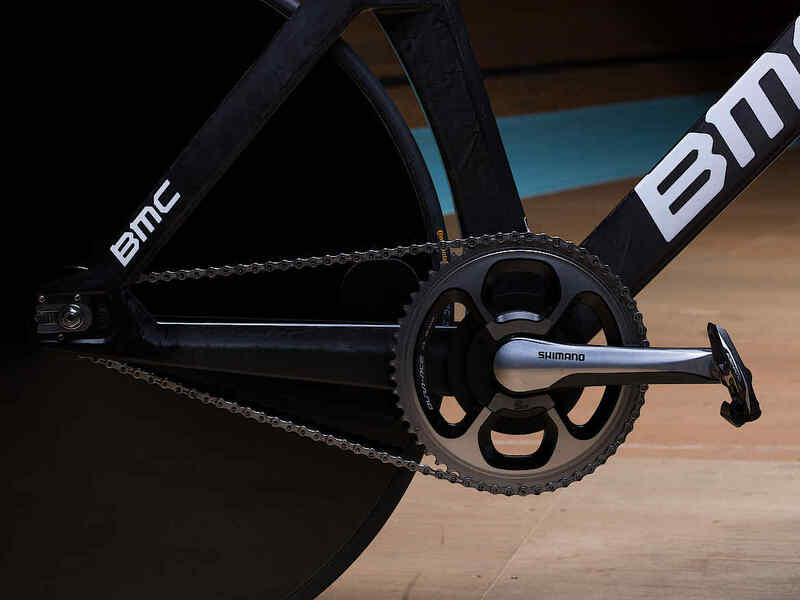 BMC has unveiled the BMC Trackmachine TR01 that Rohan Dennis will ride as he attempts to break the Hour Record on Sunday. Black on black. That’s the look for Rohan Dennis’ customised Trackmachine TR01, unveiled by BMC today. The sleek machine will be charged with carrying Dennis past the 51.8km required to beat Matthias Brändle’s Hour Record at the Velodrome Suisse on Sunday afternoon. BMC claims the bike is the most advanced track-specific bike in the world, but it has been further adapted to improve its aerodynamics and stiffness. 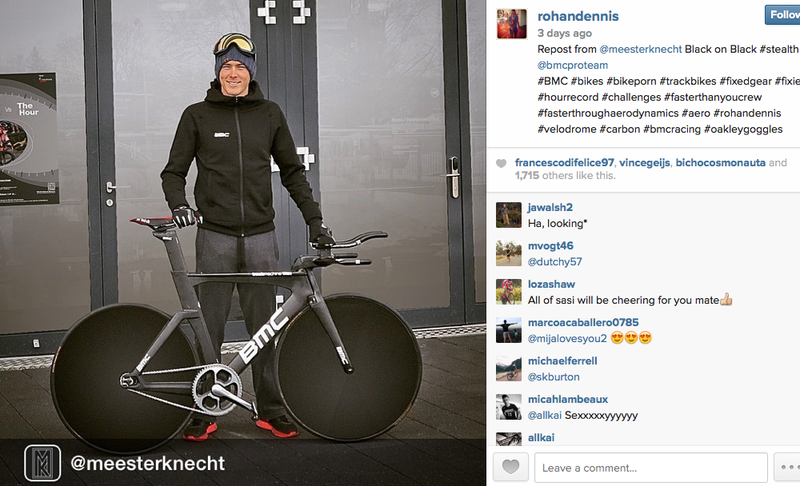 With UCI regulations requiring all bikes used in official competitions to be available for purchase, Dennis is riding one of BMC’s standard track bikes. Although it’s still priced out of the reach of most amateur track cyclists, retailing at £5,000 at Evans Cycles.